Onward State: Before we start, tell us: Who is John Ziegler? John Ziegler: Wow. In the existential sense, or just my basic bio? I guess I am a guy who lives under the delusion that the truth still matters. In my effort to share my truths, during my career I have “been” a TV sportscaster, author, radio talk show host, TV commentator, and a documentary filmmaker. I am also a husband and the father of a baby girl. And I guess the reason you are interviewing me is that I created www.FramingPaterno.com. OS: You have been one of the most vociferous critics of how the media handled the Penn State situation, specifically with Joe Paterno. Where do you think the media went wrong and why? JZ: I don’t think you have enough space for that answer. I think that the moment that things went haywire with regard to the media and Joe Paterno was when the AG held that Monday press conference on November 7, 2011, and somehow Paterno went from being a cooperating witness who was being “praised” by the prosecution, to someone who had supposedly failed in his moral obligations. At that moment the media realized that they could turn a story no one cared about, because it involved an ex-assistant non-Penn Staters didn’t remember, into a ratings bonanza because it dealt with a huge celebrity and the ultimate fall from grace in the history of sports. At that point the snowball started going down the mountain and many mistakes were made, including by the Paterno PR team, which helped the media create a false narrative to fit their agenda of making every story as good for their ratings and fame as possible without getting themselves fired. The biggest mistake the media made was to buy into the grand jury report of what Mike McQueary witnessed without even the slightest bit of hesitancy or scrutiny. It was totally absurd to judge Paterno based on such a one sided, incomplete, and, as it turns out, very inaccurate 23-page document. You would think that 61 years of exemplary work would buy you at least a little due process in the media and the PSU BoT, but not when they see a story that juicy and when there was such a tight “deadline” for results because Paterno’s last home game was that weekend. In a remotely rational world we wouldn’t even be starting to evaluate Paterno’s role in this scandal yet because the other trials haven’t occurred and only one key person has ever even really spoken extensively on the record about what happened. The whole thing is the worst case of media malpractice I have ever seen and I have spent most of my career in the realm of media criticism. OS: Many of your critics — and even those who support the anti-NCAA pro-Paterno message — have accused your rhetorical methods of being abrasive or “over the top” specifically on your Twitter account (@Zigmanfreud). Is there any merit to that accusation? JZ: Just once I would like someone to provide me with an actual example of something that I have said that was “abrasive” or “over the top.” I admit to being aggressive about conveying the truth and to not caring about what other people think of me. This often gets results. For instance, I was in a day long Twitter “battle” with ESPN’s Jay Bilas. That resulted in a newspaper doing an article on how Bilas admitted that the media coverage of Paterno was not fair. That doesn’t happen if I am not being aggressive. For those who think that I often come off as “angry,” I say to them that if you believe as I do that a massive injustice was done here and you are not angry about it, then there is probably a much bigger problem with you than there is with me. OS: You’re a Georgetown Hoya. Why do you have such an intense interest in the Penn State situation, especially living all the way across the country and with no ties to the school? JZ: First of all, I grew up in Pennsylvania and did like Penn State and always respected Paterno, though I did kid my Penn State friends over the last few years that he really needed to retire. Secondly, to me this whole thing goes way beyond Penn State or Joe Paterno. This goes to the nature of our culture and our media, and the role that truth and due process do or do not still have in our society. If something like this can happen to Joe Paterno it can happen anyone. Every American should be outraged by what was allowed to happen here. OS: One of your main points of criticism has been how Penn State president Rodney Erickson handled the NCAA sanctions, specifically with his willingness to sign the NCAA consent decree. There is an ESPN article by Don Van Natta that outlines the steps the NCAA took to get Erickson to sign the consent decree, which essentially accuses the NCAA of threatening Penn State with a 4-year death penalty if the school didn’t comply. Many Penn State supporters would concede that Erickson took the lesser of the two punishments to avoid 4 years without football. What is your take on the situation, with respect to the decisions made by President Erickson and Penn State? Do you believe President Erickson is a bad man? JZ: Frankly, I don’t know where you got the impression that this issue has been one of my main points of criticism and I have said remarkably little about Rodney Erickson. However, I do have strong opinions about this topic. First of all, there is no “death penalty.” I strongly believe that the NCAA would have been afraid to test whether they actually had that power and the logistics of it from simply a scheduling perspective would have been simply impossible. Secondly, because of the nature of a such a penalty, had it somehow been imposed Penn State could have just sued and they would have gotten an immediate stay of all the sanctions. This would have bought an enormous amount of time for more information to come out and for the other trials to occur. It also would have allowed at least a couple of PSU classes, who were obviously blameless, to finish their careers unpunished. The decision by Erickson to accept the sanctions out of fear of the “death penalty” was both stupid and cowardly. It was never going to happen and if it had, it would have been the best possible outcome for Penn State. Penn Staters really should hold him accountable for that. OS: Do you believe Joe Paterno shares any of the blame — malicious or not — for Jerry Sandusky not being arrested sooner? Who do you believe is culpable? JZ: Based on the evidence as we currently know it, I would say that the worst you can say about Joe Paterno is that he had too much trust in those whose job it was to investigate such matters and, as he himself said, he lacked the power of omniscience. OS: A magic genie comes to John Ziegler and says, “You get to eliminate one of the following groups: The NCAA, ESPN, the Penn State Board of Trustees, the Barack Obama administration, Freeh Sporkin & Sullivan LLC, or Nickelback fans.” Which group do you pick, and why? JZ: Well, I guess that depends on what they were to get replaced with. If you are asking me which I have the greatest disdain for, I would probably rank them this way from most to least: ESPN, Obama administration, NCAA, PSU BoT, Louis Freeh, and Nickelback fans. OS: What do you believe is your greatest accomplishment so far in your search for truth at Penn State? What is a realistic end goal for your Penn State-related projects? JZ: Getting the mini-movie at www.FramingPaterno.com done on time and with almost no money and have it be as well received as it has been was really pretty remarkable. So in the big picture that has to be the greatest accomplishment. The most satisfying moment however was probably when I got a text from a former prominent Penn State player who is a member of the media telling me that after seeing the mini-movie that he had changed his mind and wanted to help correct the injustice that had happened. OS: You were a three-time letter winner at Georgetown in golf. If you could play 18 holes with 3 other people, who would they be and why? Mark Emmert, Louis Freeh, and Rodney Erickson is an acceptable answer. JZ: I think if I had Mike McQueary, Jerry Sandusky, and Victim 2 in my foursome (importantly, it will be proven that McQueary played in Sandusky’s tournament after the 2001 episode and I am told that Sandusky and Victim 2 played golf together just before the indictments), that would be by far the most interesting round of golf of my life. I doubt Jerry’s game would be in very good shape where he is these days though. OS: We’ll end this with an Onward State staple: If you were a dinosaur, which one would you be and why (And do you believe dinosaurs and humans coexisted 4,000 years ago like your old friend Sarah Palin)? 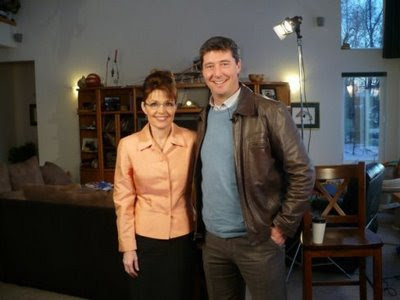 JZ: First of all, you have apparently bought into one of the very least credible of the many Palin media myths. For the record, she believes in evolution, not that anything she believes really matters any more. As for your answer, I would definitely be some sort of pterodactyl. Flying, especially during that age, would beat lumbering on the ground any day.